Many people are afraid to be admitted to the hospital- not because of their own health issues, but because of the health issues that may results from being in the hospital. We’ve all heard stories of people entering the hospital for a “minor” procedure only to suffer complications or even die. According to the Centers for Disease Control and Prevention, nearly two million Americans each year get an infection in the hospital and more than 90,000 die as a result. WHERE DO HOSPITAL INFECTI ONS COME FROM? Hospital-acquired infections are usually related to a procedure or treatment performed to diagnose or treat a patient’s illness or injury. Urinary tract infections are the most common. These typically occur after catheterization and are caused by invasion of bacteria form the skin into the bladder via the catheter. Pneumonia ranks as the second most common type of hospital acquired infection. Patients with poorly functioning immune systems or who are taking antibiotics are at risk for infection by a yeast called Candida. The growing hospital infection problem is due primarily to the huge increase in antibiotic resistance bacteria. In estimation, about 25% of all hospital acquired infections could be prevented by health care workers if they took proper precautions when caring for patients. If you are given the choice, opt for outpatient procedures performed by quality doctors. Hospitals, by their nature, are a breeding ground for pathogens because they are filled with sick people. If you must enter the hospital, you need to first give your immune system a boost. Optimally, begin the boosting regimen one week before entering any hospital and then continue during your hospital stay (of course with your doctor’s knowledge and permission). 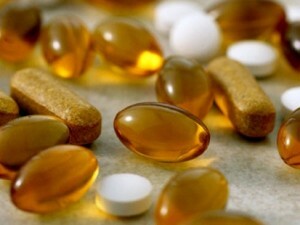 Vitamins C. 1,000 milligrams (mg) twice daily. 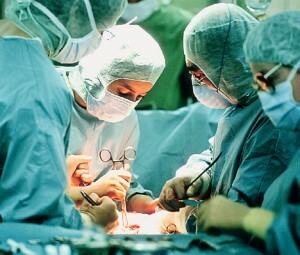 It should not be taken 24 hours before surgery, however, because it may interfere with anesthetics. A protbiotice (good bacteria). Five billion active organisms daily. The herbs astragalus and echinacea. Take 500mg or 30 drops three times daily of each product, five days before and during hospitalization, and for two weeks following surgery. Whenever possible, check into a private room in a well-designed hospital with good air quality and ventilation. Place your own air purifier in the room, with the hospital’s consent. Ask family or friend s to give their support and supervise your care while you are in the hospital. Keep a copy of your medical records on hand, including a list of all the medications you take. Inform your doctor that whenever possible, you wish to avoid high-risk procedures, such as urinary catheterization. If this is not advisable, catheters should be left in for as little time as possible. Keep the skin around dressings, catheters and drainage tube clean and dry. If a dressing becomes loose or gets wet or tube becomes loose or dislodged, promptly inform your nurse. If you are diabetic, have your blood sugar properly monitored. High blood sugar increases the risk for infection. Most importantly, don’t be afraid to speak up, express your concerns and ask questions. You know your body best and are the best advocate for your own health. If you’re not up to the task, ask a family member or close friend to speak up for you.